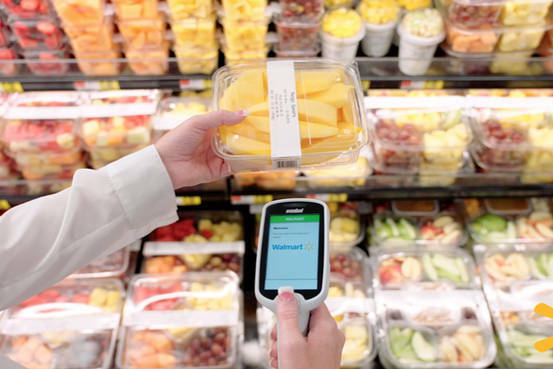 Walmart Inc. is beginning to use online ledger technology to manage supply-chain data for mangoes, berries and a couple of dozen other products. British Airways tested blockchain to maintain data on flights between London, Geneva and Miami to stop conflicting flight information appearing at gates, on airport monitors, at airline websites and customer apps. The data, encrypted and unchangeable, is always up-to-date on all participants’ systems. "Separate copies tend to drift out of sync." Blockchain isn’t only about bitcoin. The technology best known as the record-keeping system behind cryptocurrencies seems poised to play a broader role in business, where it could change how supply chains work. 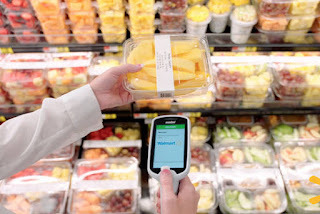 Walmart Inc. is beginning to use the online ledger technology to manage supply-chain data for mangoes, berries and a couple of dozen other products. The system, built with International Business Machines Corp., will help Walmart figure out where bad food came from during product recalls. British Airways last year tested blockchain to maintain data on flights between London, Geneva and Miami. The idea was to stop conflicting flight information from appearing at gates, on airport monitors, at airline websites and in customer apps. The selloff in bitcoin notwithstanding, companies that move products and people through complex supply chains see promise in the inherent security and ease of use of blockchain, said David Schatsky, a managing director at Deloitte LLP who analyzes emerging technologies. The technology manages information hand-offs between lots of parties, preserving one consistent history, he said. “Today, you can’t live your life without a mobile phone. In a few years, you will have to participate in one or more blockchain solutions because they’re just more efficient and lower cost,” he said. A blockchain ledger allows participants to add blocks of information after each party runs algorithms to evaluate a proposed transaction. If the parties agree that the transaction looks valid — identifying information matches the blockchain’s history and follows the rules created by the participants — then it will be approved, time-stamped and added to the chain. The data, encrypted and unchangeable, is always up-to-date on all participants’ systems. Airports and airlines already share data, but the exchanges are often between just a few organizations at a time, with each player updating its own databases on its own timetable, said Kevin O’Sullivan, a lead engineer at SITA, the airline technology organization that coordinated the experiment. “Separate copies tend to drift out of sync. It’s a significant problem,” he said. In last year’s test, British Airways, London Heathrow, Geneva International Airport and Miami International Airport uploaded their flight operations nearly continuously to their blockchain, giving all parties a view of the same information at the same time. The result was “one pure, true instance of data,” said Maurice Jenkins, director of information systems and telecommunications at Miami International. Mr. Jenkins expects to run more blockchain tests, in part to help the airport manage growth. The number of air travelers world-wide is expected to double to 7.8 billion a year within two decades, he said. In 2017, more than 44 million travelers passed through his airport alone.